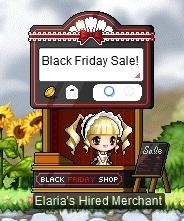 Cash Shop Update for November 15 | Dexless, Maplestory Guides and More! November 15 to November 21 in the Special Promotions > Discounted category in non-Reboot worlds only. November 15 to November 21 in the Special Promotions > Limited Time category in both Reboot and non-Reboot worlds. Dress up in the classic Janus Outfit, available as male and female versions. These items are permanent! Show off your colorful side with these permanent rainbow-themed outfit packages! November 15 to November 21 in the Special Promotions > Last Chance category in both Reboot and non-Reboot worlds. Someone please tell Nexon that Halloween is in October.